Once you’ve selected your new wood flooring, we’ll help you every step of the way by providing professional on-site measurement, removal of old flooring, and skilled installation that includes moving your furniture and replacing the trim. 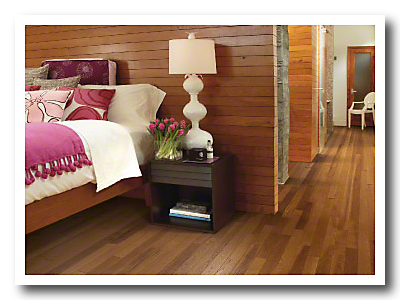 Our wood flooring contractors do it all expertly, so your floor will look amazing and give you lasting satisfaction. Who will remove your existing flooring? Our wood flooring installers can do it upon request, but if not requested, you should make arrangements to have it removed. Who’s moving your furniture? If you don’t want the responsibility, our installers can handle it. Be sure to remove all fragile items from the room. Layout. In general, your hardwood should run parallel to windows or, in narrow rooms, to the longest wall. Added stability is achieved by installing hardwood perpendicular to floor joists. Measure door clearances. 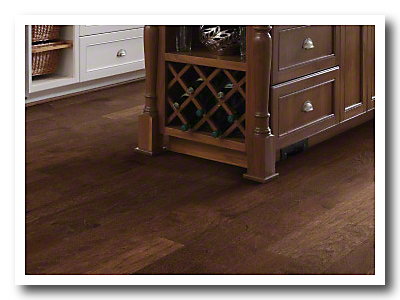 If the new wood floor is thicker than your existing floor, door bottoms may rub. Plan in advance to have someone shave or saw the correct amount off the bottom of each door so it does not rub on your new floor. Paint first. If you’re planning to paint, wallpaper, or do any other remodeling in the room, it’s best to do it before wood floor installation. Keep extra paint to touch up any post-installation nicks. Current Flooring: Professional wood flooring installers will evaluate your floor and subfloor construction and he or she will know whether to remove the existing flooring or install on top of it. If it’s removed, the installer knows how much preparation is needed for the subfloor, like the use of a leveling compound, or if a new subfloor should be placed over the old one. Installation: Using the proper equipment, your wood floor installer will nail or glue boards in place, working from multiple cartons to create consistency in the look of the floor. When encountering unforeseen problems, our experienced installers know how to solve them. Overall quality: Professional wood floor installation ensures that your floor will look beautiful and perform well over time. For wood floor care tips and other installation information, contact Mountain Valley Floors, Inc. We can also help you choose a highly skilled professional installer. We look forward to working with you!